Indian Naval Chief Admiral Sunil Lanba on 31 may said, that the second ship has sailed with relief materials for Bangladesh and the Indian Navy is running two Humanitarian Assistance Disaster Relief (HADR) operations as well. "We are running two HADR operations, south of Sri Lanka and in morning we received request from Bangladesh. Second ship has sailed with relief material for Bangladesh. We have the capacity to carry out HADR operations and our capacity is going to increase with time," Lanba said. He also assured that each ship of Indian Navy is capable of running HADR operations. "Each ship is capable of running HADR operations. We will cover wider Indian Ocean also, but there is a timeline to arrive at the place," he said. Earlier in the day, INS Sumitra is involved in a major Search and Rescue (SAR) operation 90 miles south of Bangladesh's Chittagong. 18 people have been rescued till now and the operation is still in progress. The people trapped, had been blown away from shore and coastal dwelling units due to Cyclone Mora. One man's pulse and heart beat could not be traced after being rescued. However, he was revived and is currently on ventilator. Massive evacuation is underway in Bangladesh as severe cyclonic storm 'Mora' hit Chittagong on 30 may. The severe cyclonic storm MORA over northeast and adjoining east central Bay of Bengal moved further north northeastward with a speed of 28 kmph, and lay centred at 0230 hrs IST on 30 may. Mora was centred at around 385km south of Chittagong port and 305km south of Cox's Bazar port around 7pm on 29 may, said Bangladesh Meteorological Department. 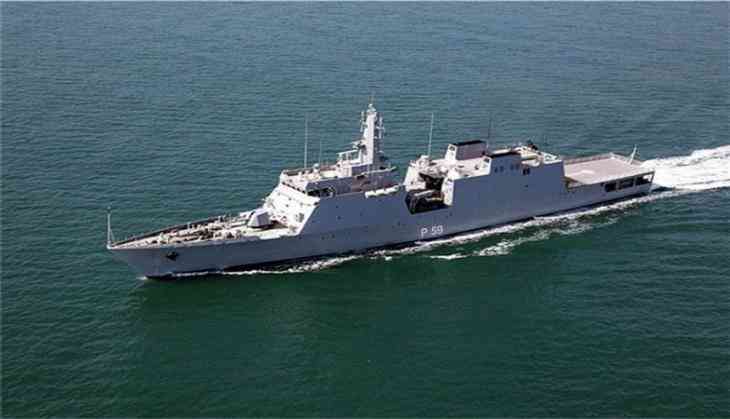 The Indian Navy on 29 may had said that it has kept its Eastern Fleet ships at the highest level of readiness to render assistance to Bangladesh if required.